You still owe money on your car, but you’re also ready to swap out its tired gears for a new set of wheels. Think you’re out of luck until that loan is paid off in full? Think again. You can sell your car for free on CarGurus. But even if you decide to sell it to a dealership, unloading a car you still owe money on is easy and can be done in only a few steps. 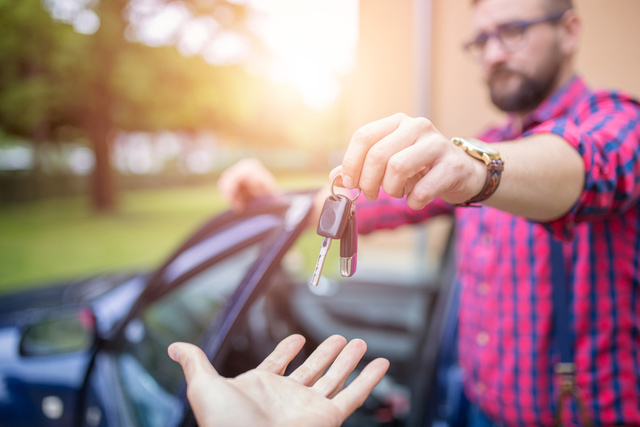 When you take out a loan to buy a car, the bank or lender (for simplicity's sake, we’ll just call it the bank) you're borrowing from gets the title of the vehicle. This is known as having a lien on your title. Once you’ve re-paid the loan, the lien is released and the title will get transferred to you. The first step is to find out how much money you still owe the bank. This is easy enough: Make a quick phone call to the bank to find out your payoff balance. Keep in mind that this figure will be based on the remainder of your loan plus any accompanying interest and fees. Once you know how payoff balance, you can start thinking about how you’d like to sell your car. Selling it to a dealer will result in less hassle, as dealerships buy cars with liens on them all the time. You’ll give the dealer “power of attorney,” which will allow them to handle paperwork with the bank, rather than having to do so yourself. Once the dealer has paid off the lien, you’re entitled to any extra money from the agreed-upon sale price; let’s say you’ve agreed to sell the car to the dealer for $10,000, but the pay-off amount is only $8,000. You’ll then receive the additional $2,000. You can pocket that money or put it toward a new purchase. Regardless of what you’ve opted to do, be sure to hold onto any and all documentation detailing the arrangement. 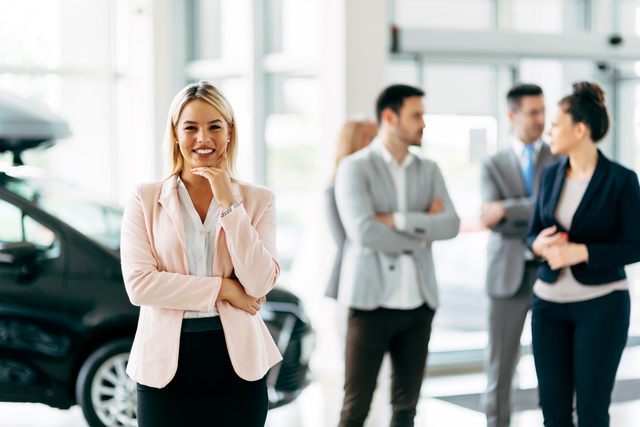 You can make more money by selling your car to a private party, and although things aren’t quite as straightforward as they would be if you sold it to a dealer, selling your car yourself still isn't hard. When advertising your car for sale, be sure to include mention of the lien. There isn’t any real reason for a shopper to be concerned by this information, and it may make the sale run more smoothly, as the complication won’t come as a surprise. If possible (say, if your local credit union issued your auto loan), complete the sale at the bank’s location. 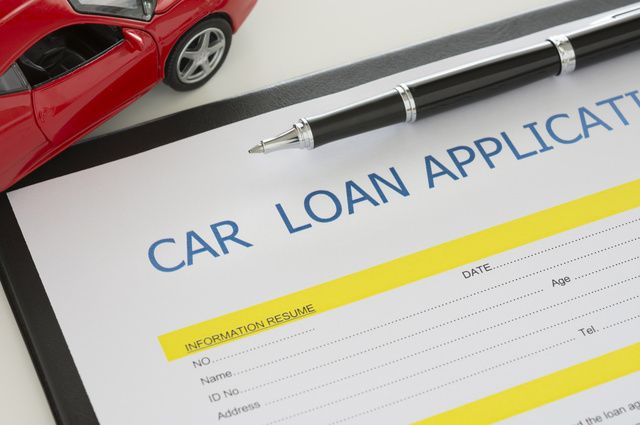 This will allow the buyer to write a check directly to the bank (and another to you, if you’re not underwater on your loan), and the vehicle’s ownership should transfer seamlessly. If you can’t complete the transaction at the bank’s physical location, you can try an escrow service, like Escrow.com. In this situation, the vehicle’s title will be held in escrow while payments are made by the buyer to the escrow service. Once the car has been paid off, the title is transferred from escrow to the new owner. A bank or an escrow service can handle the title transfer, delivering it directly or—if the buyer is taking out a loan to buy the car—mailing it to the new lien-holder. How Do Car Dealerships Make Their Profit?